Looking for the perfect gift (still)? We’re getting down to the wire, but it’s not too late to find that present that will put you on everyone else’s good list! It’s hard to go wrong with something for the home – useful, classy, long-lasting, and it’s always the right size. With so many awesome gifts for the home at Quality Bath, it’s hard to pick just one… so we’ve recruited four experts to help us out. From early childhood, Paul Heintz was destined to be a designer. As a boy, he’d sketch and plan the vacation homes that his family visited; his passion and raw talent carried him through his formative years to a career in design. After earning degrees in Fine Arts and Interior Design in the University of Cincinnati, Paul and his then-girlfriend Becky – a fellow designer he’d met in school – moved to Los Angeles. Today, the artistic couple – now married – works tirelessly to provide the people of LA with fine design. Paul takes pleasure in creating beautiful yet functional and simple yet intriguing spaces, using conventional furnishings in unconventional combinations to produce uniquely inspired designs. 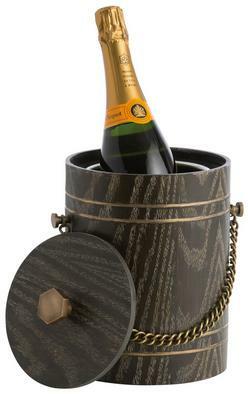 We are proud to showcase Paul’s five favorite Arteriors gifts, all of which reflect his signature elegance and finesse. 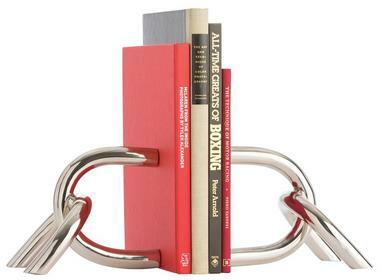 Inspired by the common chain link, this sculptural – yet functional – gleaming two-piece bookend set is multifunctional: use it as intended or as freestanding tabletop objet d’art. Either way, it’s a conversation starter, perfect for that lover of sleekly modern, unusual (but not too out-there) decor. Masculinity, femininity, and practicality unite to form a unique gift that makes a statement while holding your reading material. 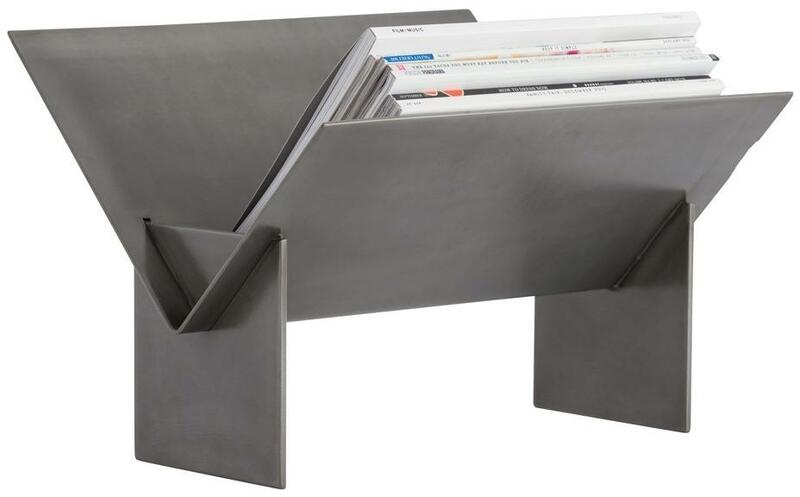 Inspired by the classic log holder, this natural iron magazine rack adds an edgily modern vibe to virtually any space. Two-tone antique finish; look-at-me silhouette; flickering candlelight. What more could you possibly want from your wall decor? Perfect for the rustic romantic. Understated elegance and striking detail combine flawlessly in this sleek tabletop lamp. 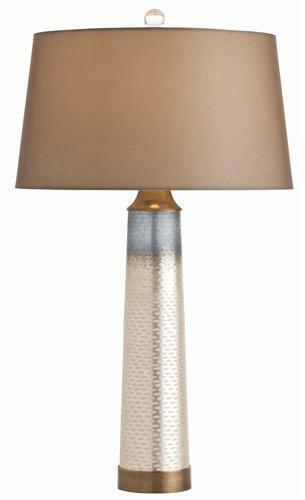 Its tapered base is hand-etched with a delicate fish-scale pattern and topped with a shade in sheer taupe, lined with sheer metallic silver for a gorgeous sheen. We won’t stop at a simple gift guide: be on the lookout for an incredibly awesome social giveaway just in time for those not-so-last-minute gifts! Coming up next: our second select designer… stay tuned!